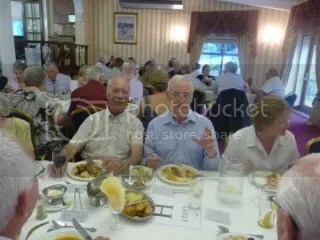 Stanley was born on 9th March 1919 in the Rhondda Valley and grew up in the hard times of the Great Depression. He went to study chemistry at Cardiff University before being directed to work at the Hickson and Welsh chemical company in Castleford, where he remained until retirement, moving through the ranks from shift chemist to managing director. 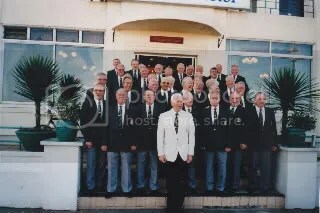 Stanley played a major part in the development of Featherstone Male Voice Choir. 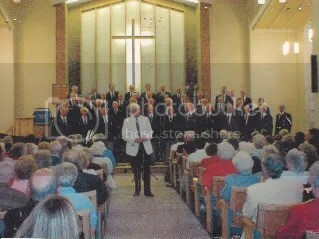 At one point the choir was near to folding when a chance conversation in 1971 between its original founder, Irvine Malpass and Stanley led to a revitalisation of the choir’s fortunes. The choir now has over 60 singers. 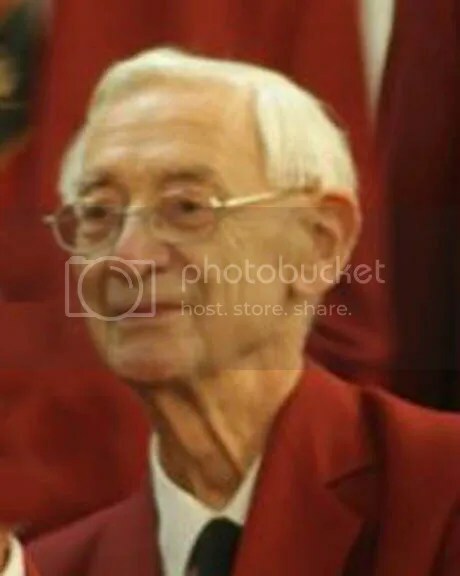 Stanley held office as Chairman of the choir in 1971 and latterly as President from 2002. In 1981, Stanley initiated a very successful Patrons’ scheme, which now has over 470 members and continues to grow. Stanley continued to sing in the bass section of the choir and at the Christmas concert he always had a spot in the programme when he had many stories to tell. 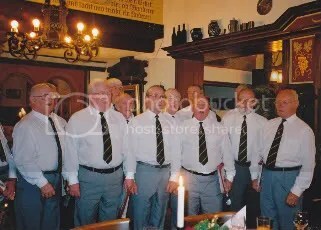 Featherstone Male Voice Choir was formed in the front room of Mr Irvine Malpass in 1963, was originally called the Featherstone Methodist Male Voice choir and had around twelve members. Rehearsals were held at Irvine’s house on Kingsley Avenue Featherstone, with Irvine accompanying and conducting from the piano. The arrival of a new Minister at the chapel (Rev Michael Collins) was the catalyst for the choir’s reputation and membership to grow since his wife Doris (a talented musician) became the Musical Director. Many concerts were given in the local area, usually alongside Irvine Malpass’s other choir, The Featherstone Girls’ Choir. When Rev. Michael Collins moved on, the choir lost Doris as Musical Director and things did not look good for a while. 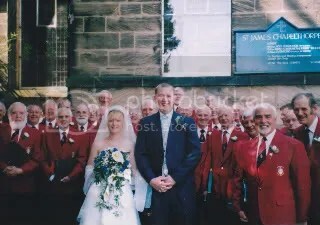 With an ageing membership the choir’s membership decreased in number and looked set to fold, until a chance conversation between Irvine and local preacher Stanley Jones (now president of the choir) led to the re-formation of the choir as the Featherstone and District Male Voice Choir. 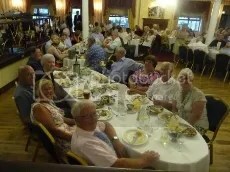 With local musician Cyril Chilton in charge as Musical Director the choir gained a new lease of life and membership grew to around thirty five. The choir went from strength to strength under subsequent Musical Directors, Geoff Trigg, Tony Elliot, and David Street. Arthur Hebb then wielded the batten for twelve years before handing over to Geoff Trigg again in 2004. 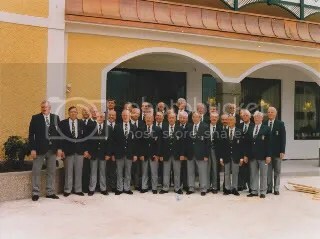 In 1993 the choir became known as Shearings Male Voice Choir, after gaining the sponsorship of Europe’s largest Coach Company Shearings Ltd. 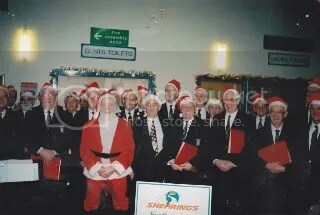 When the company changed its name to W.A Shearings Ltd the choir accordingly became the W.A Shearings Featherstone Male Voice choir. The choir has sung in many places in and around the British Isles, with concerts in Cornwall, Scotland and Wales. Internationally they have visited Germany, Austria, Switzerland, the Czech Republic and France as well as the U.S.A and Canada. 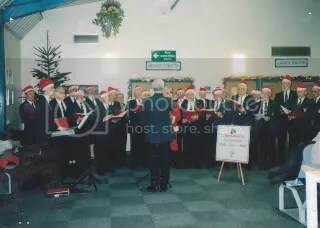 The choir’s first television appearance was in 1997 when they featured on the Yorkshire Television “Tonight” Christmas programme. They appeared again in 1999 on the same programme performing “Still, Still, Still”. 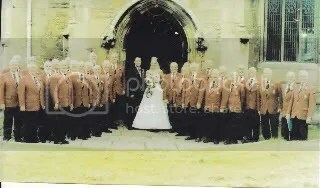 The choir has recorded two Albums, the first in 1995 and a second recording, “Celebration”, in 2003. The Celebration album has 22 tracks, including Cwm Rhondda, Jamaica Farewell, and an American Trilogy. 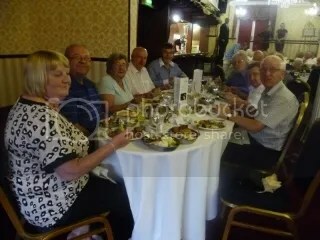 Recently the choir appeared on the “My Yorkshire” TV programme singing in the Kinsley Hotel to commemorate the eviction of miners from their homes and support given by the local community. 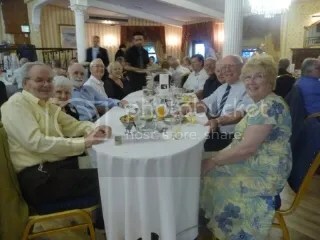 As part of the Choir’s anniverary a dinner was organised at the King’s Croft Hotel. 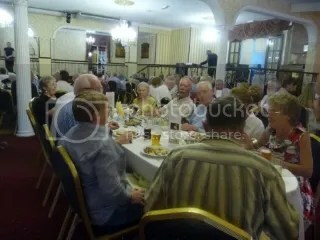 The choir now has over 60 singers and rehearses twice weekly at Wilson Street Methodist Chapel (Featherstone). It has supported many charities including The Prince of Wales Hospice, Yorkshire Cancer Research and more recently, Billie’s Violin, a charity set up by Yorkshire TV presenter Ian Clayton in memory of his daughter Billie, who tragically died in a canoeing accident. The choir has a thriving Patrons’ scheme, with in excess of four hundred patrons who give their support via an annual subscription. 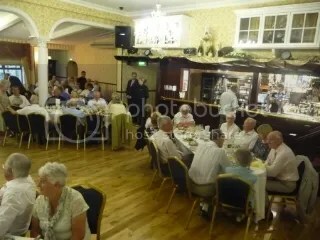 In appreciation of this support, an annual concert is performed for the patrons (held over two evenings). 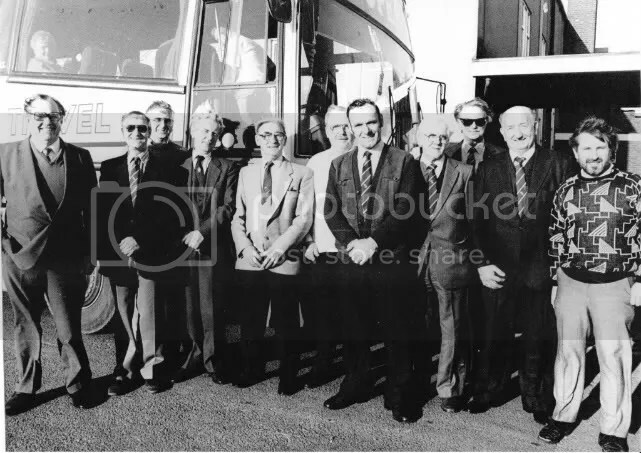 Eric Rhodes, Norman Davies, Brian Mitchell, Frank Blackburn, Harold Cork, peter Malpass, Rowland Marris, Joe Dutton, Donald Cook, Frank Turner and David Brierley.